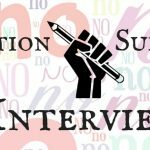 Jenny Milchman found her way to me through Savvy Thorne’s Rejection Survivor Interview (a fellow author she’s known for a long time). 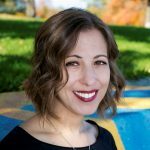 She complimented me on the blog, and when I looked her up, I realized that she would also make an excellent Rejection Survivor interviewee, so I asked if she was up for it. She was enthusiastic, and here we are! It is my great pleasure to introduce her. 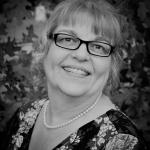 Jenny is the award-winning, USA Today-bestselling author of four thrillers. 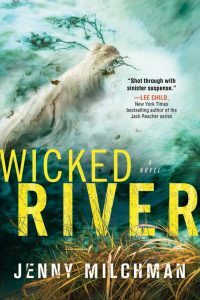 Her new book, Wicked River, is hitting the shelves TODAY! So if psychological thrillers are your thing–head over to Amazon RIGHT NOW and get your copy to boost her launch day sales! Her debut novel, Cover of Snow, was published by Random House after what she calls a “13-year journey/trek/slog,” and ended up winning the Mary Higgins Clark Award and becoming one of the imprint’s biggest sellers of that year. Since then, she also published Ruin Falls (an Indie Next Pick that was included in the Top Ten of 2014 by Suspense Magazine) and As Night Falls (recipient of the 2015 Silver Falchion award for best novel). The latter is currently in pre-production to be made into a film! Jenny speaks nationwide about the publishing industry and sticking to a dream. 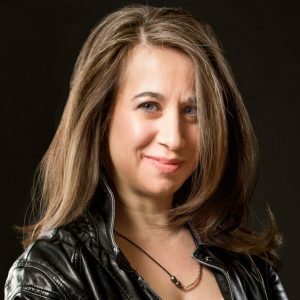 She’s Vice President of Author Programming for International Thriller Writers, a member of the Sisters in Crime speakers bureau, and founder and organizer of Take Your Child to a Bookstore Day. She lives in the Hudson River Valley with her family. When did you first decide to become a writer? Can you tell us about an early piece you wrote that no one’s ever heard of because it stayed in the drawer? My mother says I wanted to be a writer before I could write. I used to walk around telling stories out loud as a toddler. (I might find this a little hard to believe except that at two years of age, my own daughter did the same thing!) The first novel I wrote will forever stay in a drawer. It was 180,000 words and completely unsaleable. It did lead to some tough feedback from literary agents, though, and that led to a 60,000 word pruning, at which point I got my first offer of representation. The novel, however, still did not sell. Tell us about your first-ever submission. What did you submit, and to whom? That would be the aforementioned 180,000 word mess. I was nothing if not optimistic as a writer—delusionally so at times—and indeed I think that writers need a degree of denial to make it in this business. Anyway, I wrote that novel back in the bad old days of SASEs and printed out manuscripts. I first queried Albert Zuckerman because I’d read his book—Writing the Blockbuster Novel, still one of my favorites—and followed up two weeks later to let Al know that if he didn’t act fast, I was going to query other agents and end his exclusive. He did me the courtesy of writing back politely to suggest that our notions of time might be a little different, and I should go ahead. At that point, I queried 5 other agents from my wish list. Two requested the manuscript, and though neither offered rep, they were good enough to give me the feedback I needed to learn to write something marketable. How did you feel when you received your first rejection, and what motivated you to keep trying? I felt like the rejector must be nuts—not want to rep my masterpiece?? What the what? ?—and so of course I was motivated to keep going. All I had to do was find a sane person and I’d be fine, I’d be rich, I’d be an author. If anyone told me at the beginning how hard it was going to be—that it was I who was nuts, not they, if I thought I was ready to be published—maybe I wouldn’t have persevered. But by the time I figured that out, I was already entrenched in the process of learning my craft, and high on the rush of writing a second novel. (That second novel earned me my first offer of rep. The first book received an offer a day later). I think that in this case the numbers truly tell the story: 11 years, 8 novels, and 3 literary agents before I received an offer from an editor at Random House—which had turned down the same book 6 months before. My “debut” novel went on to win the Mary Higgins Clark award, go into six printings in hardcover, be reviewed by the New York Times and hit the USA Today bestsellers list after a BookBub promotion (BookBub is one of the few needle pushers available to writers today, in my estimation). I had two more novels out from Random House in the next two years. I thought I’d found my happily ever after. Then my editor was let go. Suddenly, I was on submission again—a place no writer wants to be, basically. I mean, in a few cases it’s an immediate, rip-roaring success, but most of the time it’s a series of grueling not-for-usses until your agent finds the right click and magic happens. In my case, my agent found several clicks, and we had an auction for my fourth novel. So 18 years after first setting out in this business, I now have a dream publisher. I want to zoom in a little on the period where your first editor at Random House was let go–because digging around in the difficult parts is my thing 😉 Can you tell us a little more about what that was like? What I didn’t know at that point was that the reason my editor declined my fourth novel was because her time at the publisher was coming to an end. A few months later, she was officially let go—and I was out on the cold seas of submission again. But it wasn’t. We actually received a series of no’s just like I had all those other times on submission with all those other novels and agents. The reasons differed some. Editors by that point pretty much knew I could write a novel–winning a major award and hitting a national bestseller list accords you that much legitimacy at least. But it sure doesn’t accord any guarantees. It took months, not to mention the passion and devotion of my agent, who kept saying, “We’re not just going to find you a home, we’re going to find you the RIGHT home,” before multiple houses lined up with serious interest and ultimately offers on the table. And you can bet I sweated and moaned and doubted and railed and cried during every one of those months. Then we had the auction for my new novel, Wicked River. This business can turn on a dime. Don’t ever forget that you can’t judge tomorrow’s success by today’s. If you could go back in time right now to speak to yourself during that period, what would you say to yourself? Not a thing. As I said, if I had known—had any clue at all—how hard this was going to be, how long it would take, and how much heart-ripping feedback I’d have to either incorporate, or wrestle with to assure myself that I shouldn’t incorporate it, I might never have forged ahead. Writing is an art and a business that works best one day at a time. We accrue words one day at a time… and after a few months, or a year, or many years, we wind up with a book. We learn the business one day at a time too. Enough of them and we might have a career. What are some typical things your “self-doubt demons” say to you when you’re struggling? How do you silence them? Usually my lesser reviews play like a sad song through my head. All writers get them, and my particular self-doubt demons use them to tell me that what I’m trying to do will never work like I want it to, a book will never be read the way I intended. I silence them by reading the reviews that demonstrate the opposite. The ones from readers, bloggers, booksellers, and reviewers who click with my work. We write for ourselves, but we publish for others, and these are the people I rely on to tell me to keep going in the biz. How did you imagine your life as a writer when you started out? How does reality compare to your fantasies? I don’t know that I did imagine it really—I had so little concrete knowledge of the industry or what it would take to become a professional. I learned by doing, one step forward at a time. The best parts more than live up to any fantasy—seeing my book on a shelf at a bookstore or in a plastic jacket at a library, the interviewer who wants to know every little detail about this work I created, getting flown all around to events, hearing how a scene I wrote will be brought to life on the screen (my third novel is in pre-production now for a film), accepting an award—all those things we dream of. I’ll tell you the very best, most wonderful part though, and that’s walking into the tiny studio I write in each day, booting up my computer—it feels like a magic machine—and experiencing that moment where I tip over into the world of my story. What’s the worst rejection or critique you ever received, and how did you recover from it? It was the best and the worst at the same time. It came from an agent in that first batch I queried after haughtily withdrawing Al Zuckerman’s exclusive. The agent read the first 100 pages of my bloated, 180,000 word MS. He was a very famous agent and by then I knew enough to realize that even reading that much was a gift. He opted not to read on, however, explaining that he “didn’t want to spend that much time in [my] neurotic protagonist’s head.” This was extremely painful feedback. For one thing, I had no idea I’d written a neurotic protagonist! And since most first novels fall prey to being at least somewhat autobiographical, you can imagine what I had to face with this pronouncement 🙂 At the same time, it explained why my book was so overwritten. In addition to digging into the psychology of my four-year-old character’s crime, my heroine also spent an untold number of words—well, about 60,000 of them actually—ruminating, conjecturing, and engaged in interior monologue. Lesson learned. I sat down and cut the novel down to size in two weeks. My husband. Yes, he helps me cope with rejection and stinging reviews. But from the very beginning—when he learned of a writers’ group and suggested I join, and bought me a book on craft—to the financial support he gave so I could fail to earn a penny from my writing for over a decade, to now, as he prepares to take care of our kids while I go on a five week tour—to every manuscript he’s read as my first editor, I couldn’t do any of this without him. What would you describe as your greatest accomplishment in life so far? I am really at a loss for how to answer this. I feel proud of facing my demons—not just the self-doubt ones—which has helped me be more honest as a wife and mother, so that those relationships can thrive. That’s an excellent answer! What are your hopes for the future of your career? I hope to be able to keep writing books with my editor and the dream team at my new publisher. I’d like to get to the point where my husband can cut back or even take a total break from work and pursue some of his own interests. It’d also be nice to take our first vacation in almost 13 years! Our kids don’t know what a trip is that doesn’t involve book events. Not that those aren’t a whole lot of fun. What do you have to say to all the writers, artists, and dreamers out there still drowning in “no”s? It will take longer than you ever thought, and be better than you ever imagined. She turns criticism into growth: “Lesson learned. I sat down and cut the novel down to size in two weeks.” More on how to take criticism and turn it into growth here! Thanks for this great interview! Jenny displays such a positive attitude that her struggles don’t show. I’ve enjoyed all of her books and enjoyed reading that her struggle is similar to those experienced by many writers (myself included). You’re definitely not alone, Karen! Karen, thank you saying so–and I’m glad you enjoy my books. (If you read RUIN FALLS, my new one, WICKED RIVER, will have a major twist 🙂 In terms of your other kind words…I have my good days and bad, for sure. But days when I get to interact with fellow writers and readers somehow always turn out good, so it’s easy to let the industry hassles fall away. (This is the same approach I recommend while writing, for what that’s worth. Forget the business side and live the story). I have enjoyed Jenny’s books too. Curious about one thing, the sale to the house that previously rejected? That sounds interesting!